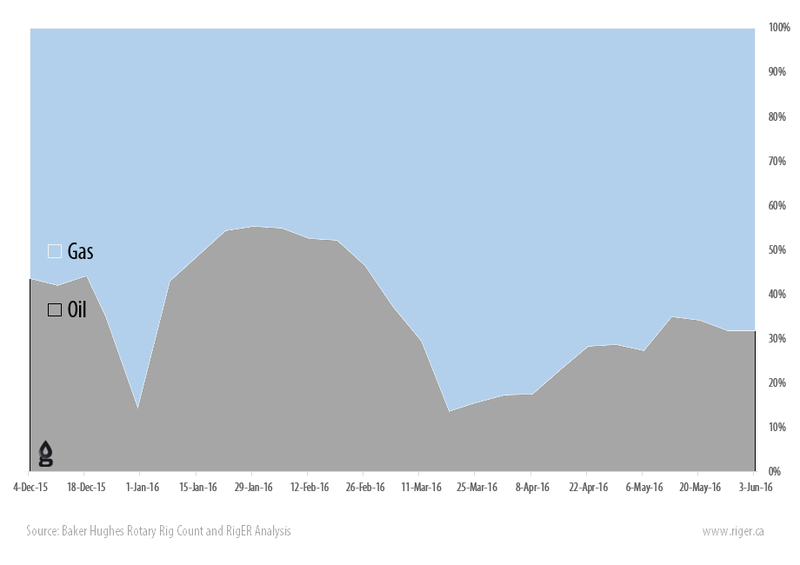 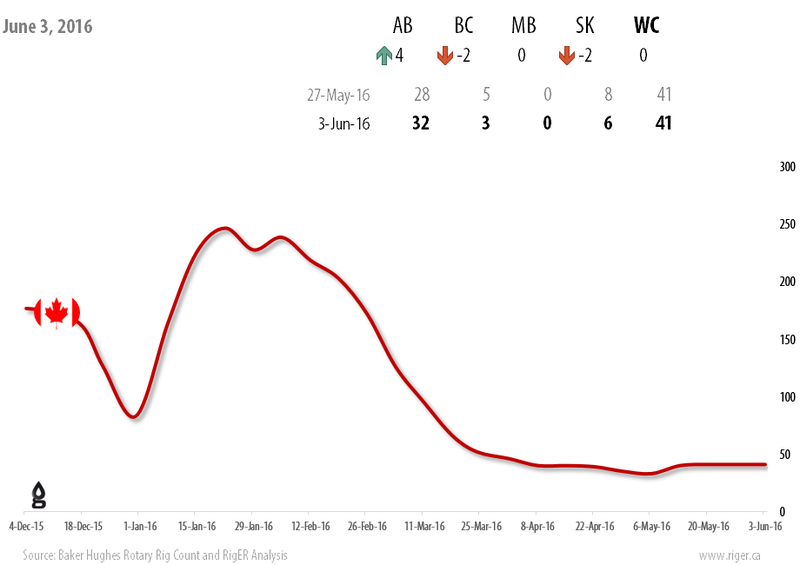 CALGARY, AB (BHI Rig Count – June 3, 2016) – RigER presents North America Drilling Rigs Activity Report. 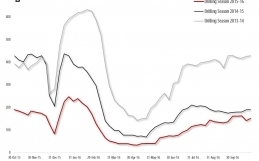 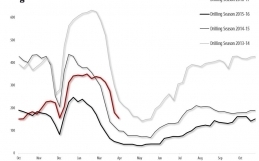 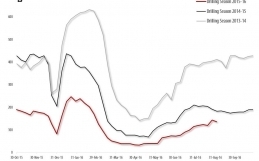 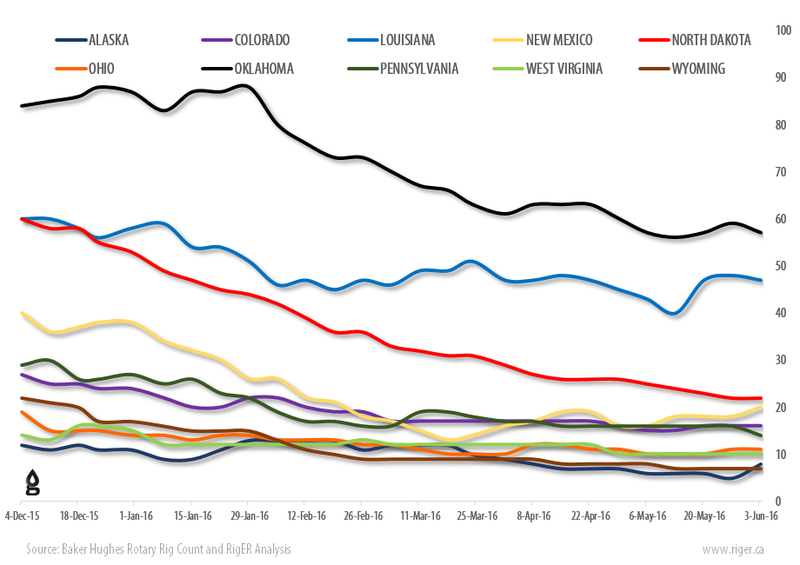 with oil rigs up 1 to 13, gas rigs unchanged at 28, and miscellaneous rigs down 1 at 0. 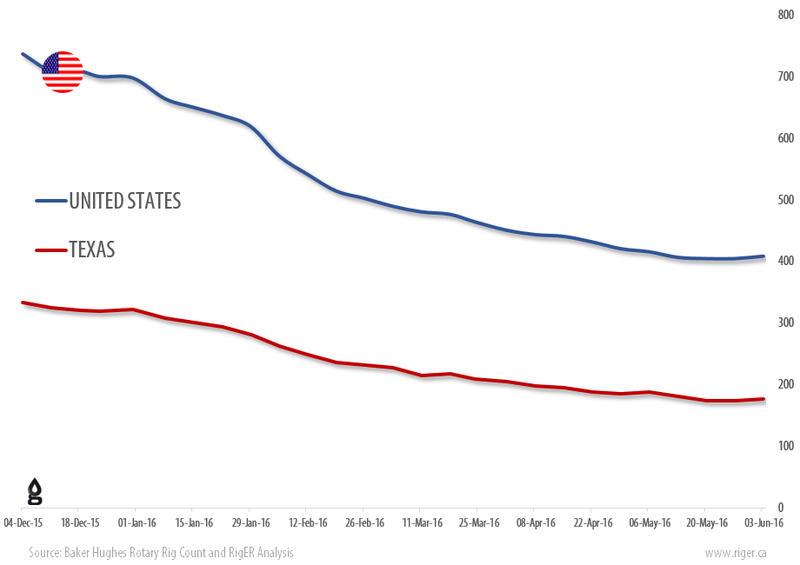 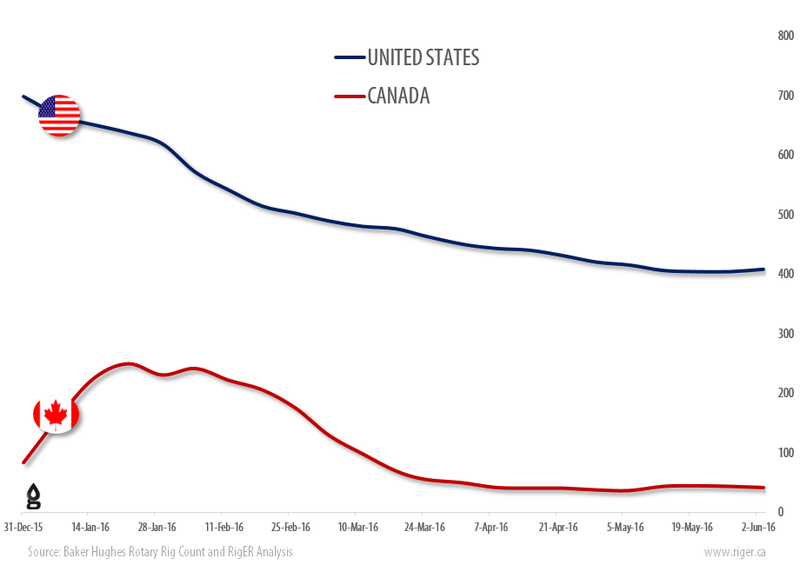 Canadian Rig Count is down 75 rigs from last year at 116, with oil rigs down 46, gas rigs down 29. 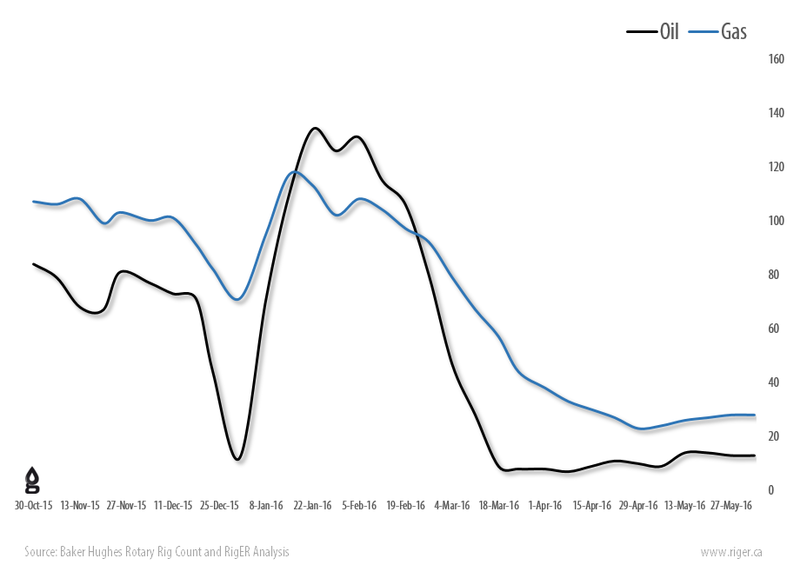 Current Oil / Gas split in Canada is 32% / 68%. 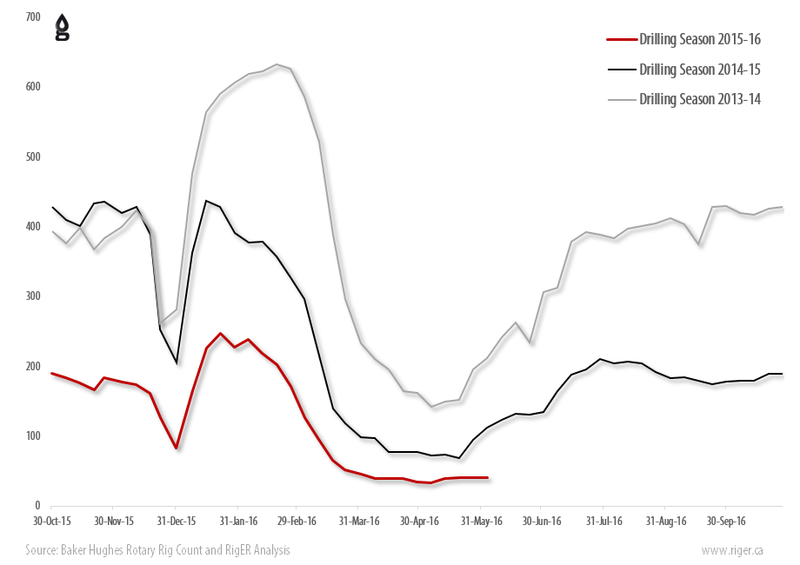 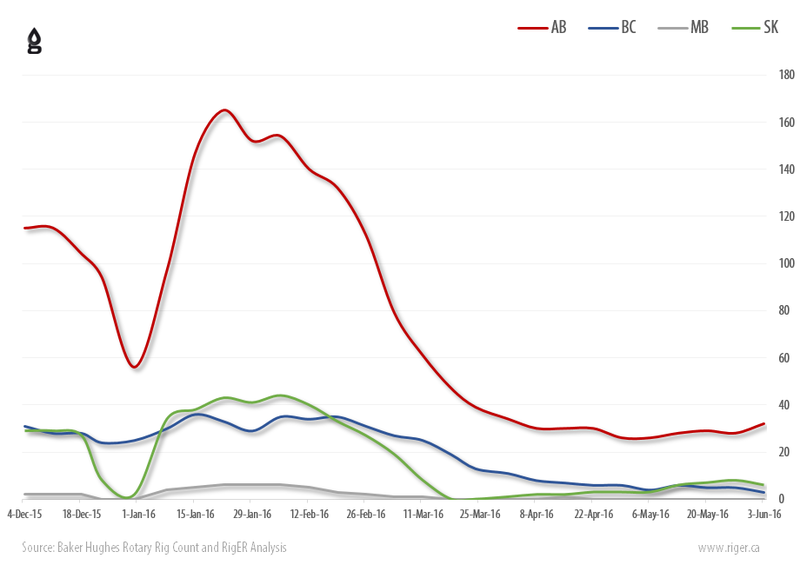 with oil rigs up 9 to 325, gas rigs down 5 to 82, and miscellaneous rigs unchanged at 1.
with oil rigs down 317, gas rigs down 140, and miscellaneous rigs down 3. 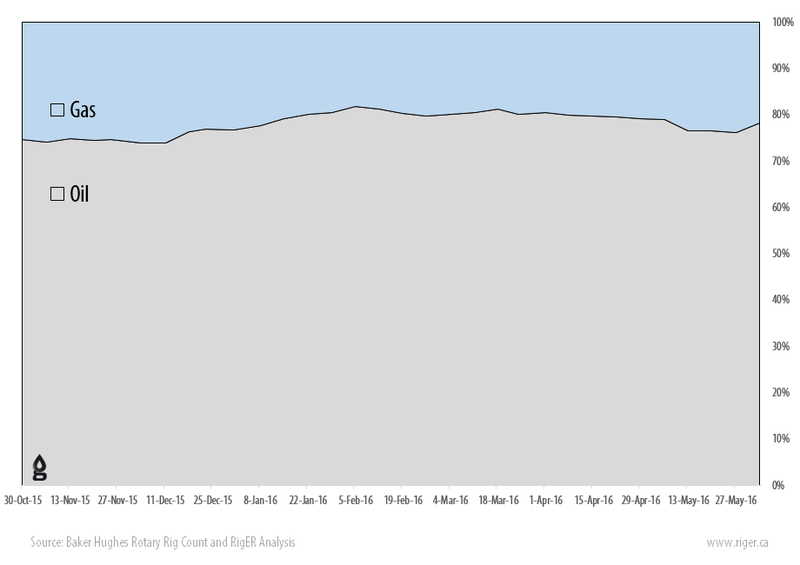 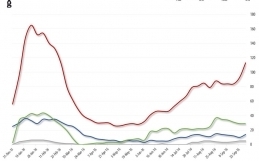 Current Oil / Gas split in USA is 78% / 22%. 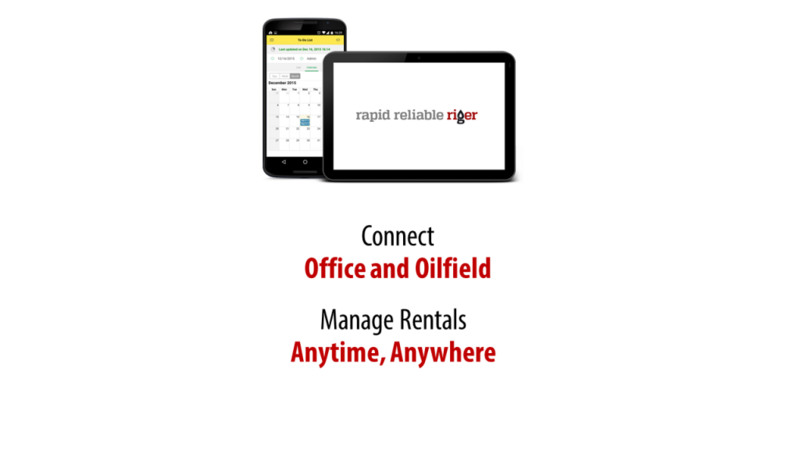 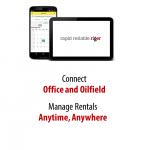 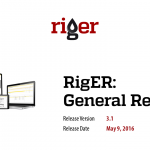 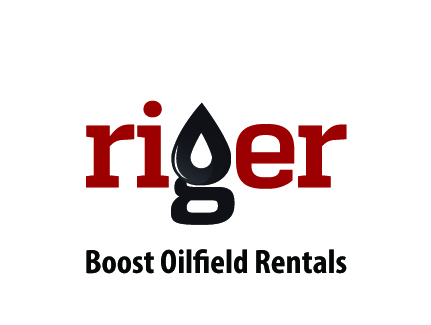 RigER providing Drilling Rigs Activity Reports as an information service to the oilfield service industry.